Getting started - Navigate the basics – from accessories to the pedals – with our ultimate guide. Understanding theory - Lay solid foundations by getting to grips with theory essentials. 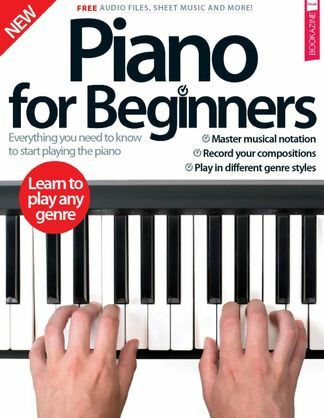 Playing the piano - Master your instrument with step-by-step tutorials. Play in the style of… - Get to know the hallmarks of your favourite genres and replicate their style. Be the first person to tell us what you think about Piano For Beginners and you'll save $5 on your next purchase!